MANCHESTER, Sporting Alert – It was no longer a secret, but we had to wait on the full confirmation. Following the breaking news about Jose Mourinho signing a contract to become Manchester United new manager, the have now confirmed the reports on its website on Friday. He replaces the sacked Louis van Gaal. Mourinho, who has been out of management since being sacked by Chelsea, had been in negotiations with Manchester United throughout this week. The Portuguese who also managed Real Madrid, Porto and Inter Milan, met with club executive vice-chairman Ed Woodward on Thursday to finalize the details, and the English Premier League outfits have confirmed that he has signed a three-year contract with an option to stay at Old Trafford until at least 2020. 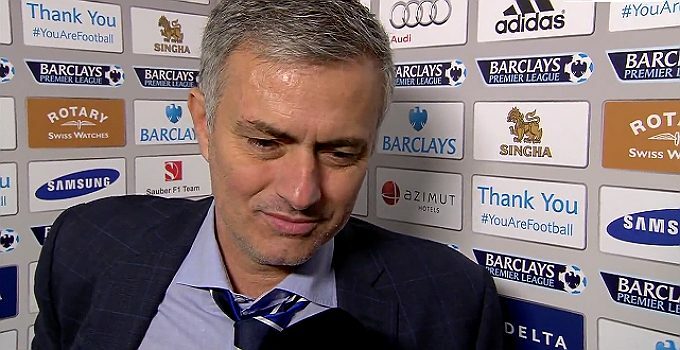 “José is quite simply the best manager in the game today. He has won trophies and inspired players in countries across Europe and, of course, he knows the Premier League very well, having won three titles here,” Woodward said. Mourinho, who has won eight league titles, seven domestic cup trophies and two Champions League crowns, has won a total of 22 trophies in four different countries since 2003 and he is delighted to finally land what has always been his dream job. “To become Manchester United manager is a special honour in the game,” he said. “It is a club known and admired throughout the world. There is a mystique and a romance about it which no other club can match. “I have always felt an affinity with Old Trafford; it has hosted some important memories for me in my career and I have always enjoyed a rapport with the United fans. After trying and failing with two managers since Sir Alex Ferguson retired, Manchester United will be hoping to be more fruitful under Mourinho.